We’ve Welcomed our 100’th Account! On May 18 we Welcomed Our 100’th Account! This is an incredible achievement for us and we are very proud that so many have chosen to use Wildlife Rehabilitation MD at their centers. The 100’th account is Wildtracks in Sarteneja, Belize, a wildlife conservation and rehabilitation organization that specializes in the care of West Indian manatees, Yucatan black howler monkeys and Geoffroy’s spider monkeys. 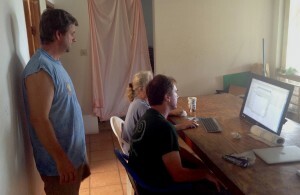 Wildtracks was established in 1990, and registered as a Belize non-profit organization in 1996. Since their inception, they have rescued and cared for numerous manatees with injuries sustained from boat collisions as well as calves separated from their mothers. Nearly all their monkey’s are confiscated by the Belize Forest Department from the illegal pet trade. They are sometimes found living in horrific conditions, chained to a post or if they are lucky a tree. All three species are endangered globally and face growing threats in Belize such as deforestation and the illegal pet trade. We are very honored to be a partner with Wildtracks in their efforts to rehabilitate and release these incredible animals. Now, for the first time, they will be able to see a much broader picture of the animals they have cared for the past years. We will be working with them to help adjust Wildlife Rehabilitation MD to suite their very specialized needs. Their rehabilitation efforts are profoundly needed in Belize and with the data they are collecting in Wildlife Rehabilitation MD, they will be able to work with the Belize Forest Department to better protect these endangered species. 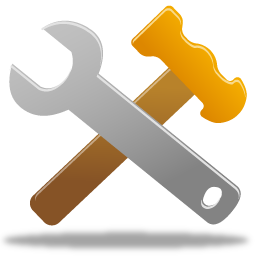 On Saturday May 10 at 12:15 am PST we will be performing maintenance on the server that Wildlife Rehabilitation MD is hosted on. 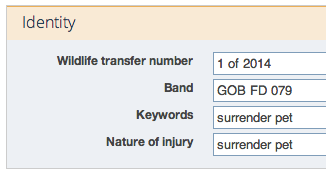 This maintenance is being performed to update the code base and database architecture with enhancements that are designed to allow users to sign into multiple Wildlife Rehabilitation MD accounts using a single set of sign in credentials. For specific details on the upgrades visit wrmd.org/about/updates. Users should avoid using Wildlife Rehabilitation MD between Saturday May 10 at 12:15 am and 1:30 am PST or you may experience odd behaviors from the site. As always, if you have any further questions, please contact our support team.